If there is one thing I love, it’s quinoa. I eat it almost every day, there’s usually a box of it in the fridge ready at all times and making it into banana breakfast bars blew my mind. 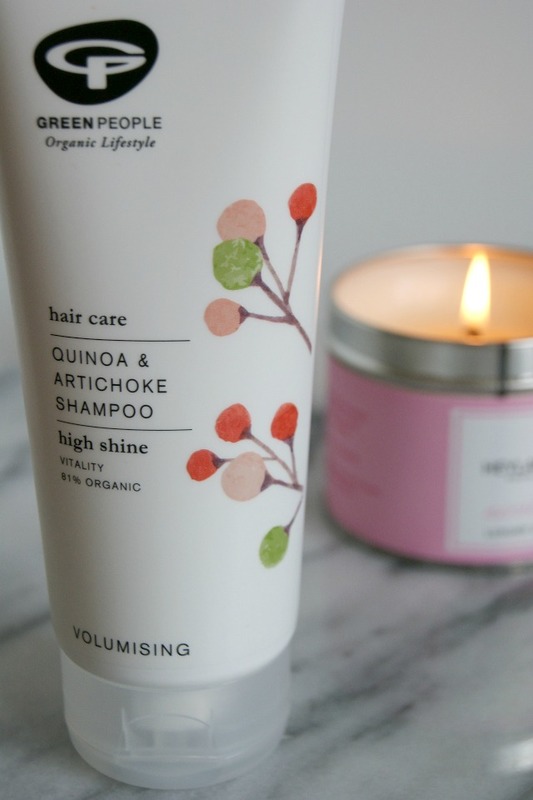 I never thought to wash my hair with it, but all my quinoa related dreams came true when Green People only went and put it in their shampoo. Admittedly, artichokes are not my food of choice, but neither is raw egg and I’m pretty sure I doused my head in that when I was 15. One of the reasons I love quinoa is that it’s a little powerhouse, containing all 8 amino acids making it a complete protein. Sounds like good news. 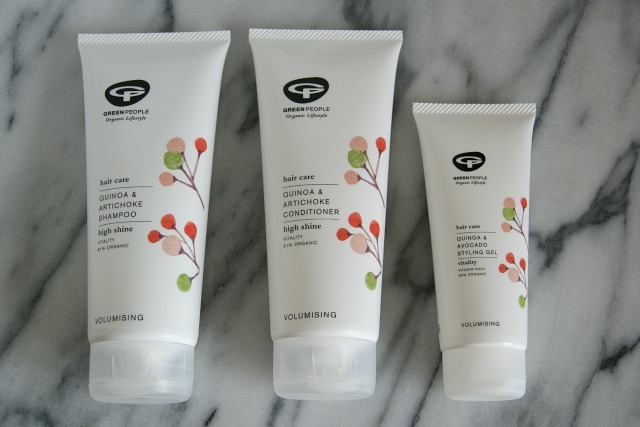 Green People claim that this means that applying it to your hair makes it more manageable, softer and shinier. It also gives you more volume by coating the hair and making it all ‘swishy’. Artichoke is the smoothing part, which Green People say smooths down each hair shaft to give you shinier, smoother hair. It helps to reduce damage from UV light because it is packed with antioxidants (good news in summer and also boosted by chamomile extract). The bit that I was particularly interested in was the claim that artichoke is very cleansing and can remove some of the ‘stuff’ that builds up on your hair causing it to look dull. I have a minor obsession with striking the balance between not removing the natural oils from my hair (and therefore not actually shampooing it that often) and feeling like it’s actually clean enough that small woodland creatures haven’t set up shop in there. First up, it smells AMAZING. My boyfriend described it as smelling like Christmas cake. I don’t think he’s quite on the money with that, but I can see where he’s going with it. It has a spicy, warming smell to it which makes it a joy to use, but doesn’t become over powering on your hair afterwards. You can actually smell it through the bottle so I get a waft of it every time I open the bathroom cupboard. It smells very spa like. On the shininess front, I do think that my hair has had a good shine, particularly near the roots. Green People say, that after one treatment, Quinoa protein improves glossiness by 26% and after 5 treatments that increases to 51%. I can’t vouch for the percentages but my hair felt well cleaned by the shampoo (which normally reveals the shine) and the conditioner is light but did the trick. My hair is highlighted and getting quite long, so getting a high level shininess into the lengths is very difficult without straighteners, but the lengths are nice and smooth. 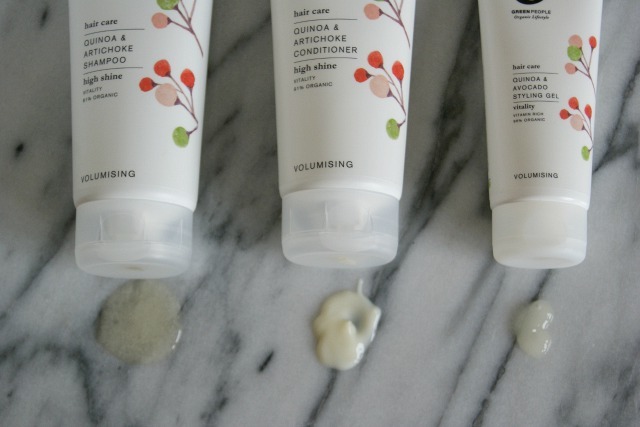 The shampoo foams nicely, so is easy to use and spreads evenly through your hair. That’s down to yukka extract and it’s natural ability to foam up (no SLS!). Green People did have an uphill battle getting much volume into my hair, so I will forgive them this, but the volume at my roots wasn’t really there. The lengths were more swishy, but I would still have to do some serious back combing to get much else going on up top. I do have very flat hair though, so anyone with more responsive hair may well not have a problem. The styling gel by itself primarily seemed to help make my hair more manageable, but I felt that the shampoo and conditioner did a lot of the hard work to make my hair shiny and smooth. 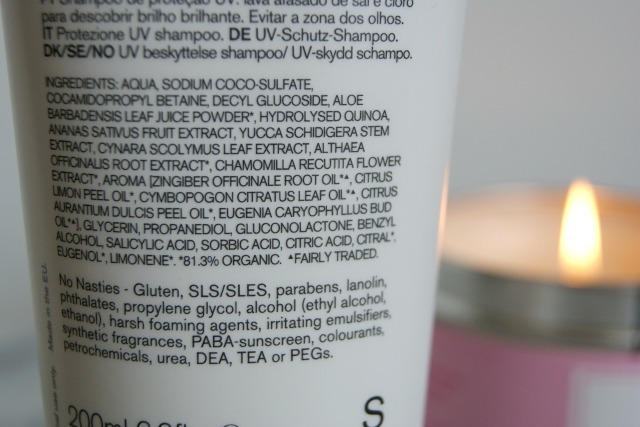 No SLS/SLES, gluten, alcohol (ethyl alcohol, ethanol), parabens, methylisothiazolinone, methylchloroisothiazolinone, phthalates and artificial fragrances. Overall, this gets a big thumbs up for shiny, soft, sweet smelling hair. The shampoo and conditioner are £14.95 each for 200ml and the styling gel costs £9.95, so they aren’t budget products but you can get 20% off by entering SUPERFOOD20. Have you tried this range? I’d love to know what you think!